Be it a homemaker, student, athlete or IT professional, everyone deserves fitness. Mr. Shankar Basu, trainer of the IPL team Royal Challengers Bangalore, launched the ‘Holistic Fitness Studio’ at Thiruvanmiyur. The launch was a star studded affair attended by actors Dhanush, Andrea and directors Balu Mahendra, Vettrimaran and Selvaraghavan. Royal Challengers captain and India’s highest test wicket taker Anil Kumble made a surprise guest appearance at the event. If anyone is wondering what Dhanush and the the directors were doing at the launch of a gymnasium and fitness center, the explanation was provided by Dhanush. Speaking at the event, he revealed the secret behind his six-pack appearance in Pollathavan. He said, “After Vettrimaran narrated the script I met Shankar Basu and told him that I need a six-pack appearance for a new film, he laughed immediately and he continued for a while. When I measured my weight, I completely lost my confidence.. 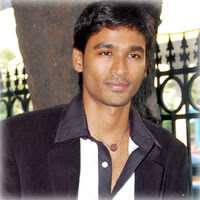 But then, he made me a raw guy.” Guess that is Dhanush’s six pack mystery solved. The fitness center promises fitness training for all age groups under the guidance of physiotherapists and a sports nutritionist, all with international certificates in their area of expertise.